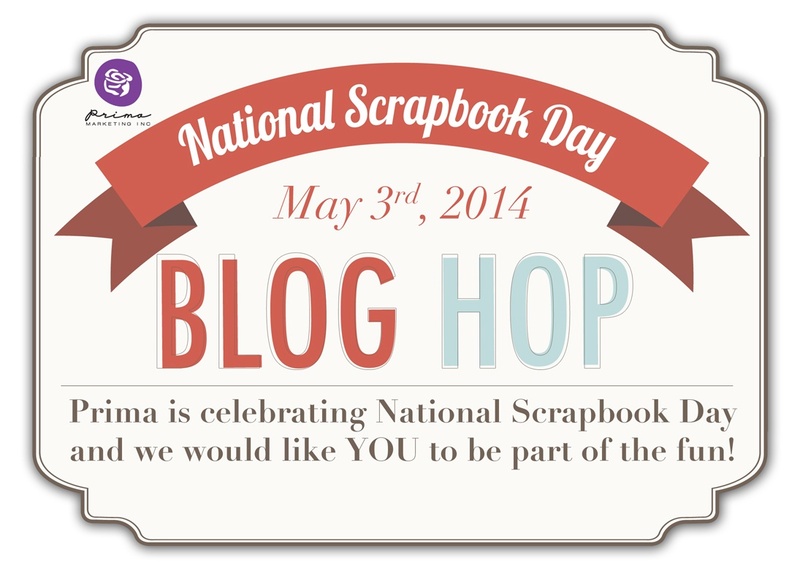 Welcome to the NSD Prima Blog Hop! If you hopped here from Brit Sviggum's Blog, you are in the right place. Prima has a fun-packed day planned with the wonderful Prima Ambassadors, the talented Design Team, and our amazing Educators! We hope the projects inspire you to dig out your crafty supplies and have fun along with us. Prima will be giving prizes away all day long on all of their social media outlets along with a stunning main prize hosted on the Prima blog, so make sure you hop around and then comment on the main blog here! Love free classes? Want to learn new techniques? Join in on the marathon of "Live With Prima" classes filled with gorgeous projects kicking off at 7 am PT! Click here to watch! I used the new AMAZING and gorgeous Prima dies to cut the "sunburst doily". Thanks for stopping here. Your next hop is off to visit the talented Solange Marques . Enjoy our special day just for scrappers. Here is the complete list in case you need to find your way. Prima Marketing-you are here now! I'm a new follower and I can't wait to see more of your work! Must have this die!! Love your project!! Wow, so beautiful! I adore the bright colours and the lovely lady. Happy NSD, Jen! Beautifull progect! So funny lady. Oh what color! HAPPY and VIBRANT! 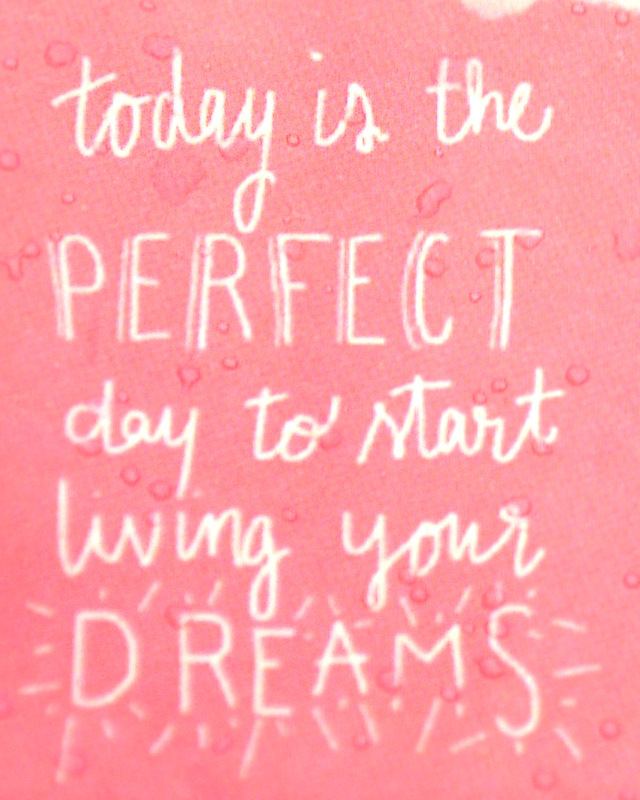 Love the inspirational saying! Thank you! Love it! The doily die looks absolutely gorgeous - it's a must have on my list! Such a fun art piece! I love the colour palette used for this layout! The quote obviously adds to it! Thanks so much for sharing this with us!! This is my first official blog hop ever!!!! So excited about all of the contributors. Love the Bloom Girls. Thank you for the inspiration. 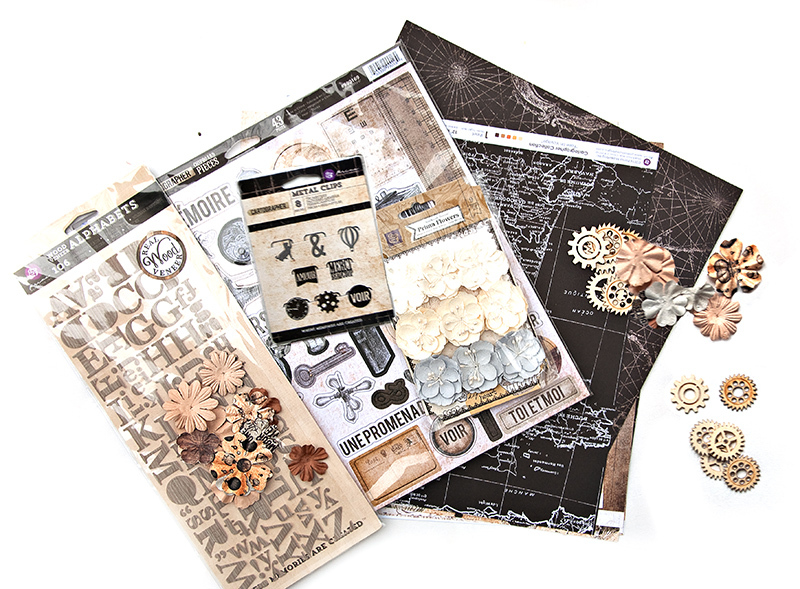 Such a cute page and I definitely must have the prima doily dies. Love the bright spring colors. Happy NSD!!! omg I love that doilly die on your project!! Thanks for sharing! beautiful project! I'm also following your blog! Your prime doll is too cute!!!! I would love to win some of the goodies ! 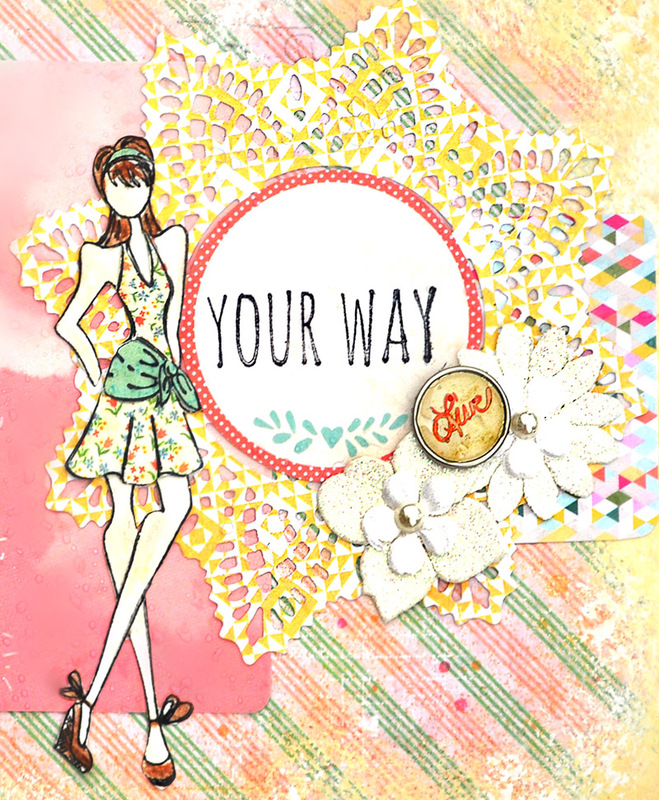 Jennifer I love how you use the Julie Nutting stamps! It helps with ideas. I wish I had a 1/8 of your talent! All the best! Wow - what a fun day and what a GREAT giveaway. Thanks for the chance. I enjoyed not only this project but more others in your blog! Thanks for the inspiration! I love the dies and the colours you've used!!! Thanks !! I am so in love with these Prima doll stamps, love your layout!!! Beautiful project! Happy International Scrapbooking Day! Hugs from Ukraine\Ireland! 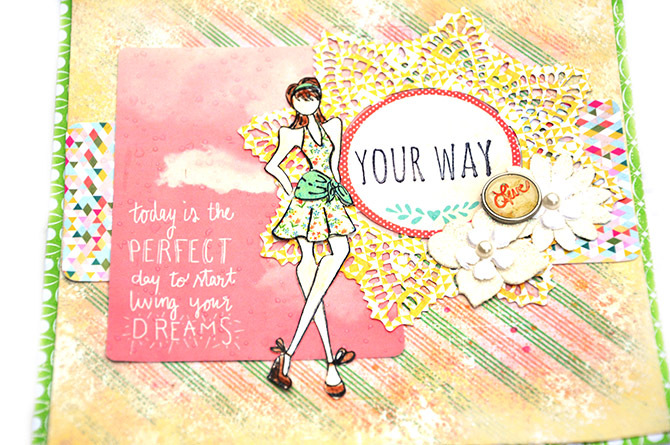 I LOVE the piece you created, from the gorgeous color scheme, to the beautiful die to the pretty Julie Nutting doll! The whole thing makes me smile! Thank you very much for sharing with us and giving me inspiration to start creating on my own! I appreciate your generosity in offering such a terrific prize pack to one of for commenting as well. Thanks for being a part of my NSD, and I hope you are having a wonderful time on the hop! Great project, thanks for the inspiration! Happy NSD! Beautiful project! I am a new follower! I am a new follower and that doily is GORGEOUS!! Love everything on this project!! Wonderful girly page! Love it! Such yummy colors and I love that stamp! Love your project! Stunning as always! Thanks so much for the inspiration and for the chance to win! Happy NSD! Love the idea of using the doily die~ Thanks! Love this - thanks for the inspiration! Really love the background on this!!! B-E-A-U-T-I-F-U-L layout Jennifer, thank you for sharing and happy NSD to you! Lovely creation with super fun colors! Many thanks for the inspiration! I'm a new follower! This is just gorgeous! I am in love with the new dies too! This is gorgous! I loved it! Very delicate your work! that's good to know your blog! I would love to give this card to my granddaughter. It's great! This is so pretty !! I love it!! I loved your layout, and the colors are so much matching the time of the year, real spring time feeling! I love this! So bright & pretty! Thanks so much for the inspiration! 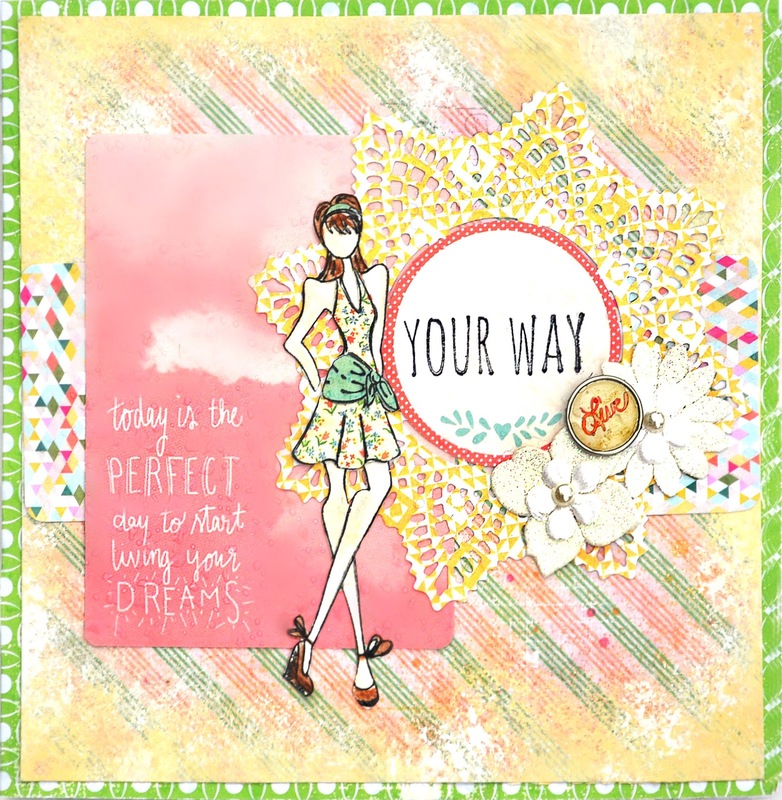 Gorgeous project, love the Julie Nuttings doll stamps...your project makes me happy! Fun and nice inspirational project! And a great think! I'm so glad that someone used the Julie Nutting Doll stamps, because I have all of them, and need lots of inspiration:-) beautiful use of the doily die with the doll. Loving the layers and simplicity of this layout! Sweet summery colours! I always have issues with having girls on my page but I think you make her look so natural in place! Love this! Bright and cheerful! I love seeing the same card used in a completely different vibe! This is beautiful! I am now a new follower! Amazing work! Thanks for inspiration! Great project. I like the colors you've chosen. Thank you. Pretty sweet and very feminine. love the little dress. love how it all came together. Very very beautiful project! Congratulations! And thanks for the chance! WOW!!! Very beatiful LO...I never use digi stamps for my works...good idea!!! Very cute! Love the Prima doll! would love to win these goodies! thanks for sharing all the creative ladies' art. dda1@cableone.net 1-228-202-7057 god bless you and thank you so very much .